With this verse, of course it wasn’t all that hard to determine just what to fix in the kitchen for the sixth day – the incredible edible egg. Eggs have have gotten a bad rap due to their high cholesterol content; however, research has shown that eggs are actually lower in cholesterol than previously recorded. They contain a lot of vitamins and minerals as well as high quality protein…all for just seventy calories. But this is for a regular chicken egg – geese eggs, being larger, are higher in cholesterol and also have a richer and stronger taste. Some chefs do prefer to use them when making making desserts or egg breads; some people do prefer to eat geese eggs. It all depends on your own personal preferences. Geese eggs can be cooked much like chicken eggs – scrambled, poached, fried or boiled. Well, you could make a quiche. I’m quite the fan of them myself, and I believe that real men do indeed eat quiche. I make a Sweet Onion Pie that uses eggs, along with Vidalia onions. One thing I like about quiches is how versatile they are – you can put practically anything into them except the kitchen sink. I’ve made mine with sausage, ham, seafood, spinach and/or sliced tomatoes. Admittedly my quiches tend to look more like egg pies as opposed to the traditional quiche, but they taste pretty much the same. 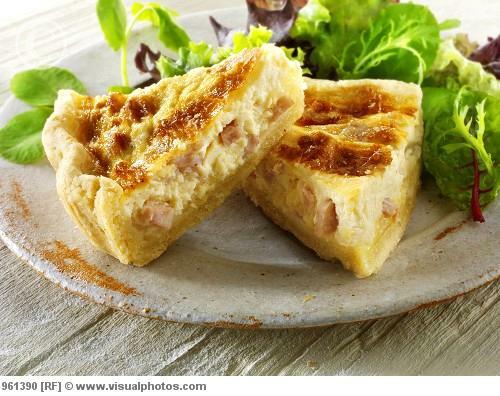 Quiches can make a delicious dish for pretty much any time of the day – add a tossed salad and a roll, and you’ve got a nice dinner. 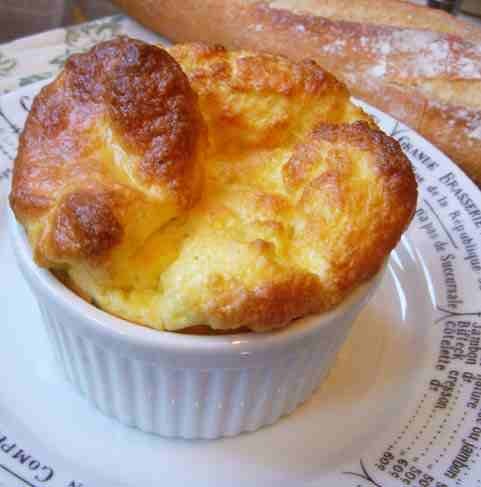 Eggs are a main ingredient in the making of souffles – another French dish made with egg yolks and beaten egg whites combined with various other ingredients. Souffles can be both sweet or savory – there’s cheese, vegetable and seafood souffles, as well as chocolate, lemon, and strawberry souffles. While I do like souffles, I’ve never made one myself…I suspect that if I tried, the darn thing would collapse like your typical sitcom episode. Maybe some day I will overcome such fears and give it a try. But if I had to choose the egg dish of my choice for celebrating the day, I would go with an omelette. Much like quiches and souffles, just about anything can go into an omelette. You can keep them simple, or load them up with all sorts of vegetables, meats, and cheese. I’ve even had a fruit omelette filled with apples or berries. That’s one of the nice things about eggs – they go with practically anything. Just about every country in the world has its own version of an omelette – there’s the French omelette, or the Italian frittata. 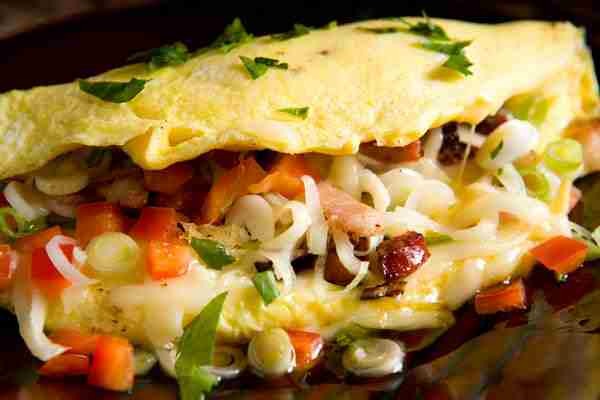 A Chinese omelette is often known as egg foo young. 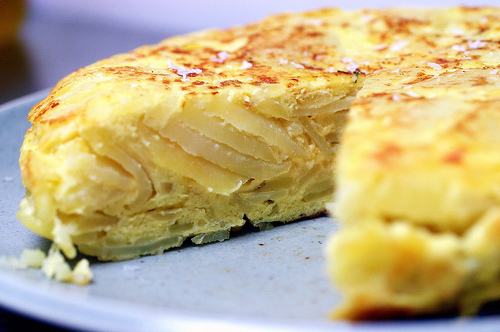 The Spanish tortillas de patatas is is a traditional and very popular thick omelette containing sliced sauteed potatoes. And in Japan, tamagoyaki is the traditional omelette. Anywhere on the globe you can find a local variation of this popular dish. Regardless which way you decide to cook up this meal in a shell, be a “good egg” and enjoy the sixth day of the Yuletide season!